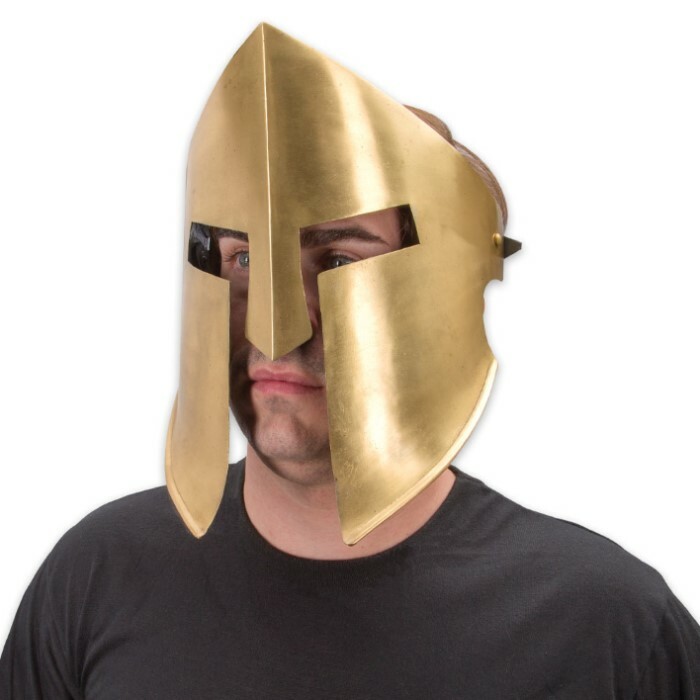 Our 20-Gauge Iron Spartan Battle Mask is absolute historical perfection suitable for display or wear. 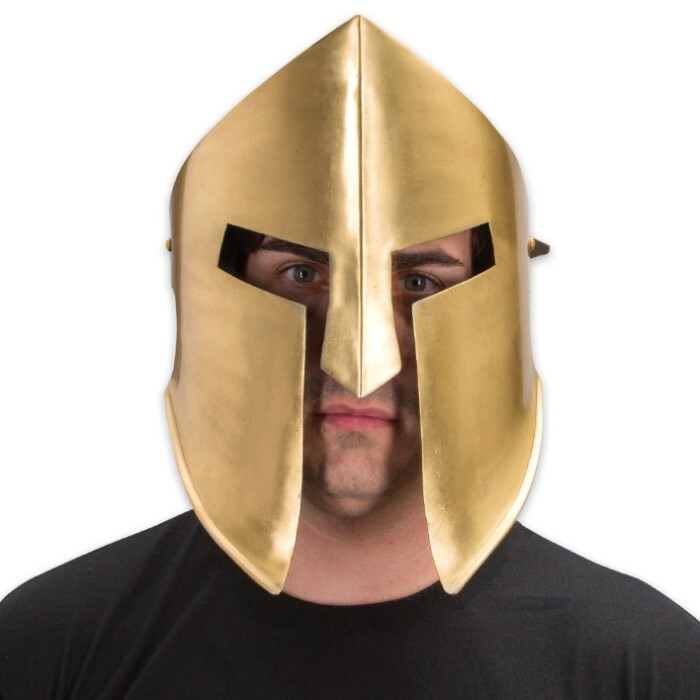 The one-piece facemask is forged from thick 20 gauge iron that has a brass finish and genuine leather straps secure it to the face. Its authentic size and design will fit most adults and it is 8 1/2” x 12”. This replica battle mask is perfect for historical dramas, reenactments, cosplay, Greco-Roman conventions, Halloween and countless other costume applications. Its authentic size and design will fit most adults and it is 8 1/2” x 12”. 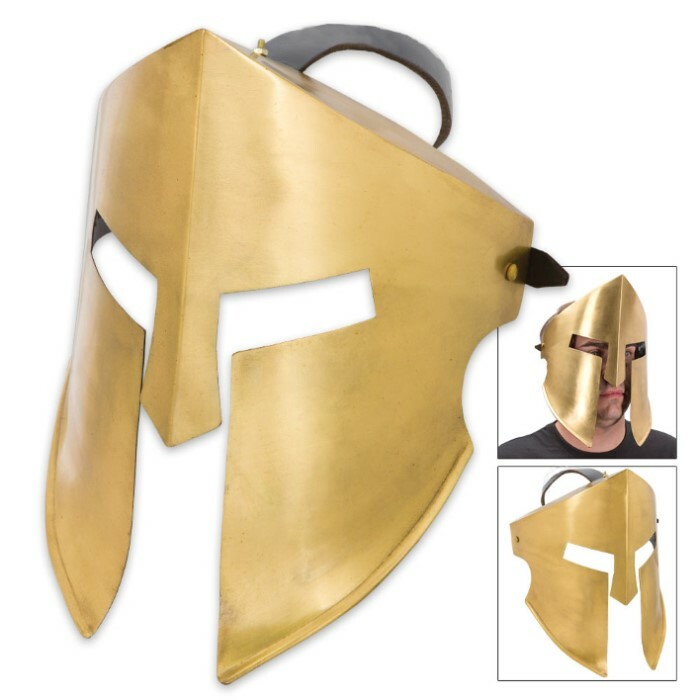 This replica battle mask is perfect for historical dramas, reenactments, cosplay, Greco-Roman conventions, Halloween and countless other costume applications.